Week 2 is underway! To be honest, it started with me feeling a little low. I actually spoke to another fitness instructor friend who is also a chiropractor and he made a simple but profound statement: “Some of my clients even get depressed.” That pretty much sums up how I’m feeling. On one sad drive into work, I came to the conclusion that I use running, dancing, and gym time as my stress release. Now, I’ve replaced that with eating junk and watching bad TV. Week 2 is where I change that. Thursday—didn’t do much of anything. In all honesty, didn’t feel too bad but it was the last day my employees were at work and I was wiped out from a very long day. Friday—a whole lotta walking around at work. This was enough of a workout. Sunday—Got my booty to the gym for a BodyPump class. It felt awesome to workout again, even though I really had to modify a ton and didn’t do any legs. That small little tear causing all sorts of issues! Monday—dun, dun, DAH….met with the orthopedic surgeon. It was not at all what I was expecting. I thought he’d recommend a little clean-up and I’d be on my way back in 4 weeks. Nope. Not at all. 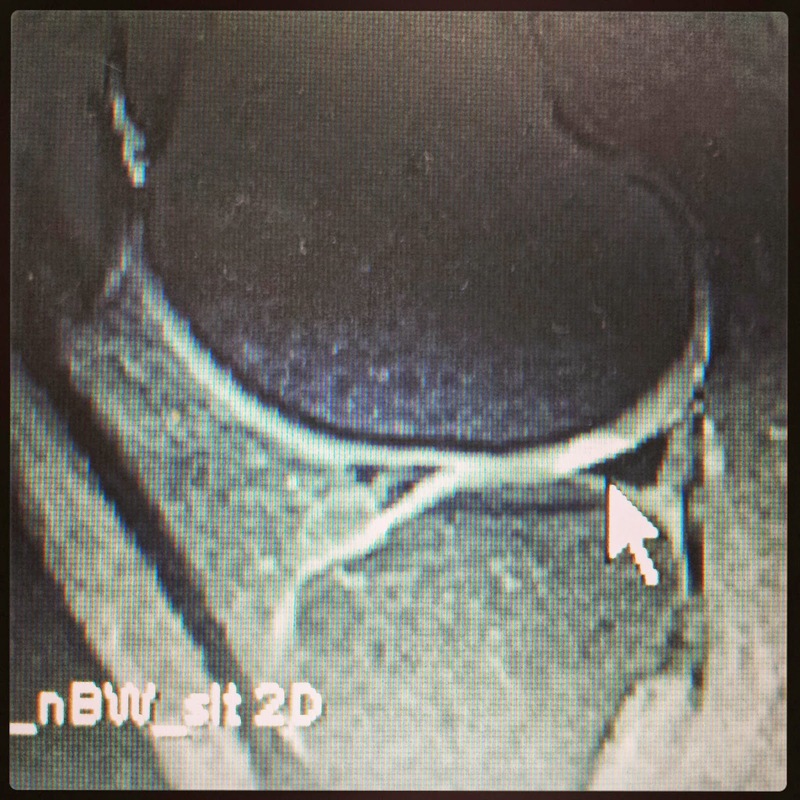 His recommendation is microfracture. The one thing everyone advised me against. The one thing I said absolutely NO WAY to prior to this appointment. He wants to wait another 4 weeks and see if I can live with this tear. The size is right on the cusp of “shouldn’t cause too much issue” and “you need to deal with it or else...” Not at all what I was expecting. Oh…and I decided to teach my Be Bad Hip Hop class this afternoon too. Tuesday—Finding that I’m really getting depressed about the options. I’m starting to obsess a little, trying to look up every possible option. It’s easy to say “get a second opinion” but really my doctor has given me the same options that I have found online. Oh…and I decided to teach my Zumba class. Ouch. That really hurt. Wednesday—Holy cow! Yes, I just said holy cow! I was in so much pain!!!! I am really paying for teaching two days in a row. It’s very interesting, though, because I barely did anything. I also finally got approved for physical therapy. My doctor ordered no resistance exercises or any impact. Eek…not what I was expecting. I start next Tuesday with one of the best PTs in town. I’m going to give it the best shot to not go into surgery. Will you be earning any of these medals? Not this time. 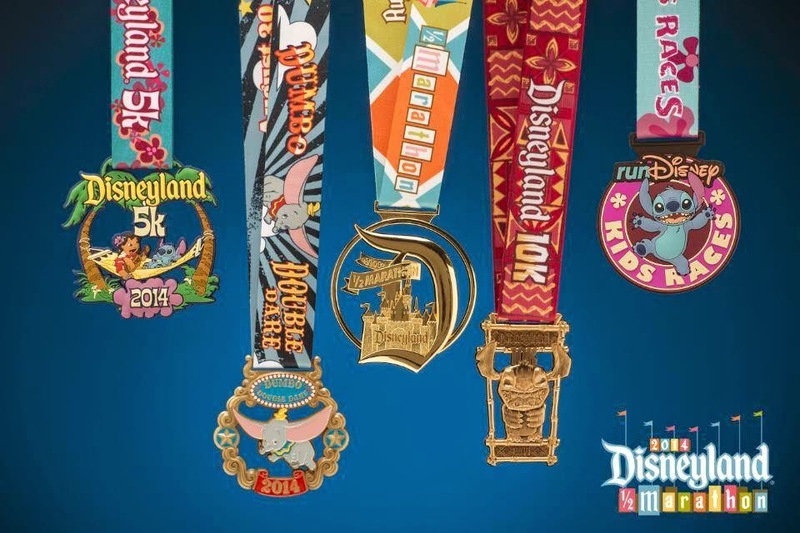 When they change the medal design, I'll probably do Disneyland again, but I already have a D. A D with a circle around it is still the same thing. The 10K one is cute, though.